Drying is an important means of food preservation. It is widely used in food production. Drying methods include hot air drying, microwave drying machinery, vacuum drying and freeze drying. 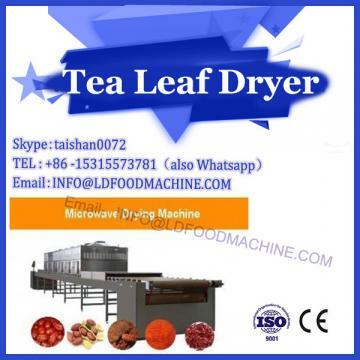 Although the drying temperature of the microwave vacuum drying machine is low, it can retain the color, fragrance, taste and nutrients of the food to a certain extent, but the heat transfer rate is slow and the drying time is long. Microwave vacuum drying technology is a new and high technology, which integrates electronics, vacuum, mechanics, thermodynamics and program control. It is a new technology developed on the basis of the study of physical changes, internal and external heat exchange and moisture transfer theory under vacuum conditions. Technology. 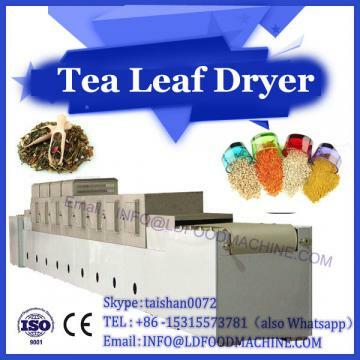 It can effectively solve the contradiction between quality and benefit in the process of food drying. In recent years, it has been widely concerned by scholars and industry at home and abroad. In the vacuum drying process, the boiling point of solvent (such as water) decreases with the decrease of working pressure in the container, and the diffusion rate of water in the material increases. Therefore, vacuum drying has the advantages of low temperature, fast drying speed and good quality of dry materials. Microwave vacuum drying combines microwave drying with vacuum drying, giving full play to the respective advantages of microwave drying and vacuum drying. In vacuum environment, the heat transfer of water or solvent molecules is relatively easy, thus greatly shortening the drying time and improving production efficiency. 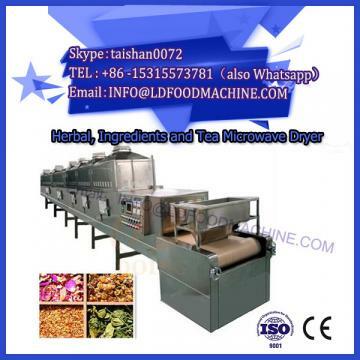 1) High-efficiency microwave vacuum drying adopts radiation energy transfer, which is the whole medium heating without other heat transfer media. Therefore, it has the advantages of high heat transfer speed, high efficiency, short drying cycle, low energy consumption, and can increase work efficiency by more than four times. 2) Uniform microwave heating is the simultaneous heating of the material inside and outside. The temperature difference between inside and outside of the material is very small, and the inconsistency between inside and outside of the material in the conventional heating will not occur, thus greatly improving the drying quality. 3) Easy to control because of the microwave power can be adjusted quickly and without inertia, easy to control in real time, easy to adjust process parameters, easy to continuous production and automation. 4) Environmental protection without poisonous, harmful, waste water or gas generation, clean and sanitary factory environment, can achieve genuine clean production. 5) The quality of the product is good, and the retention rate of the thermosensitive components and bioactive substances in the material can reach 90-95 in general. The microwave has the effect of disinfection and sterilization, the product is safe and hygienic, and the shelf life can be prolonged.